Buy your ABB inverter at the best price thanks to our store at the best price. 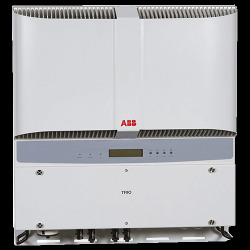 The ABB inverters type UNO are the single phase range. Easy to assemble because the ABB Uno inverter has a removable front that allows direct access to the inside of the inverter to make the connections. 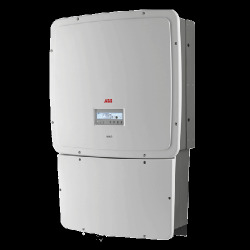 The self-consumption of your solar panel with the ABB inverter is very easy. You plug your solar panel directly into the inverter, respecting the input voltage range of the ABB Uno inverter. You will find different ABB inverter power, for the UNO series, you have a power of 2kW with the UNO 2.0 OUTD-S, but also the 3kW with the UNO 3.0 OUTD-S and higher powers with the series UNO option DM which means "double tracker". The UNO DM inverter ranges from 4kW to 5kW. You can connect your ABB inverter up to 20% more input. 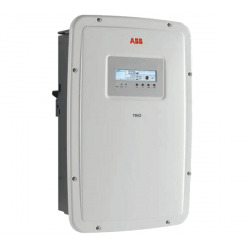 These ABB Uno inverters are monophasic so if you want to make self-consumption, you plug the ABB inverter directly on your electrical panel to save energy and therefore reduce its invoice. The ABB trio series is a three-phase system for self-consumption installations of greater power. Please purchase the ABB inverters directly from our shop and have it delivered quickly with a large stock of inverter ABB cheap. The delivery is done in 48 hours with our carrier, if you buy the inverter alone.